I wrote this story for the Dallas Morning News. It was published on Nov. 5, 2001. 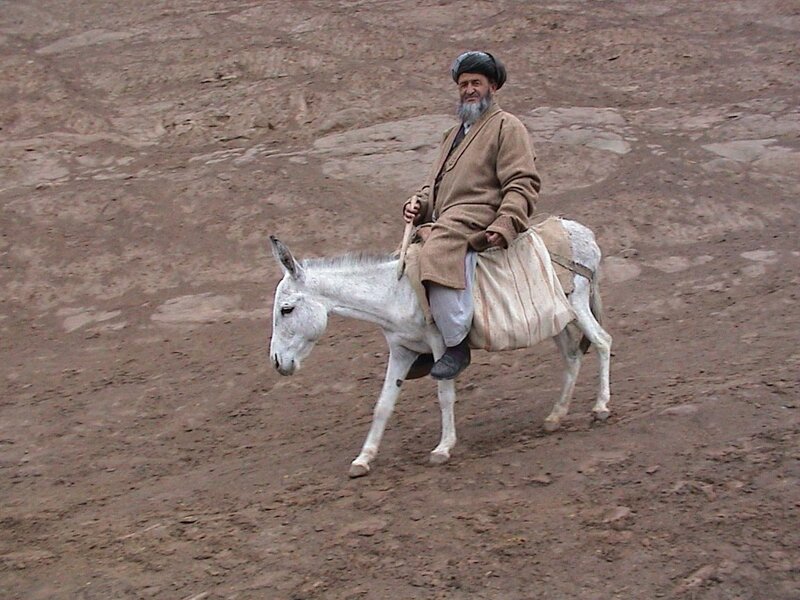 Abdul Ruf led his donkey to the edge of a deep gorge and started down a jagged path. He was home free. He had cheated death again. Just below was the Quqcha River, where he would unload precious bundles of tea and cooking oil and then collect payment – about $22. “Dangerous work, but worth it,” said Mr. Ruf, tucking away a stack of bills equal to 31 times a laborer’s daily wage. 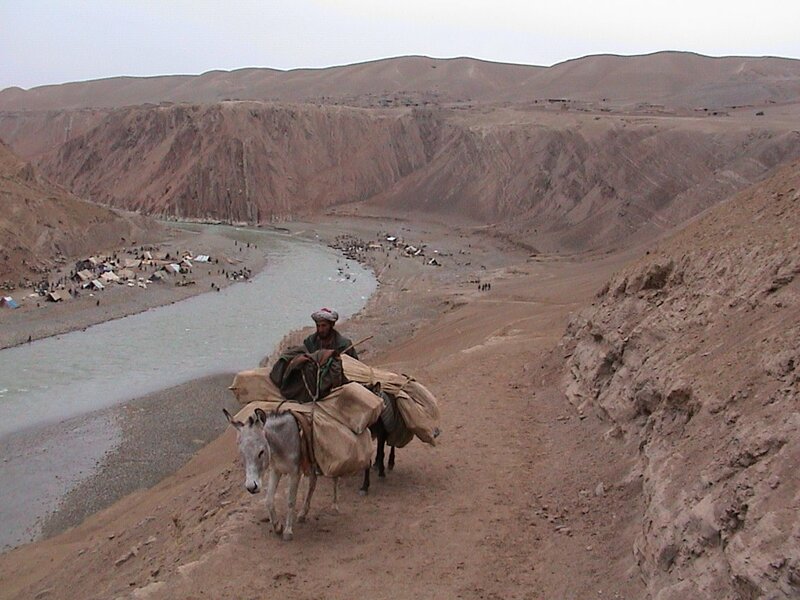 Hundreds of smugglers descend on the Quqcha, risking their lives to bring supplies into rebel territory in northern Afghanistan. They pick up goods in Taliban-controlled villages south of the river, then spirit them north across the frontlines under the cover of darkness. Not all smugglers make it. Some are captured by the Taliban. Others step on land mines and are killed or disfigured. Still others drown while crossing the river. Yet business is bustling, thanks to Afghanistan’s civil war and, more recently, the U.S. airstrikes against the Taliban. The military action curtails regular supply lines, causing shortages in rebel territory. That drives up prices – and profits. The Walalij river crossing is like something out of an Indiana Jones movie, at least to Western eyes. Goat heads littered the ground inside Mr. Hakim’s tent on a recent afternoon. Cigarette smoke rose into the air, drifting outside. Smugglers walked by, swapping stories about the latest bombings. 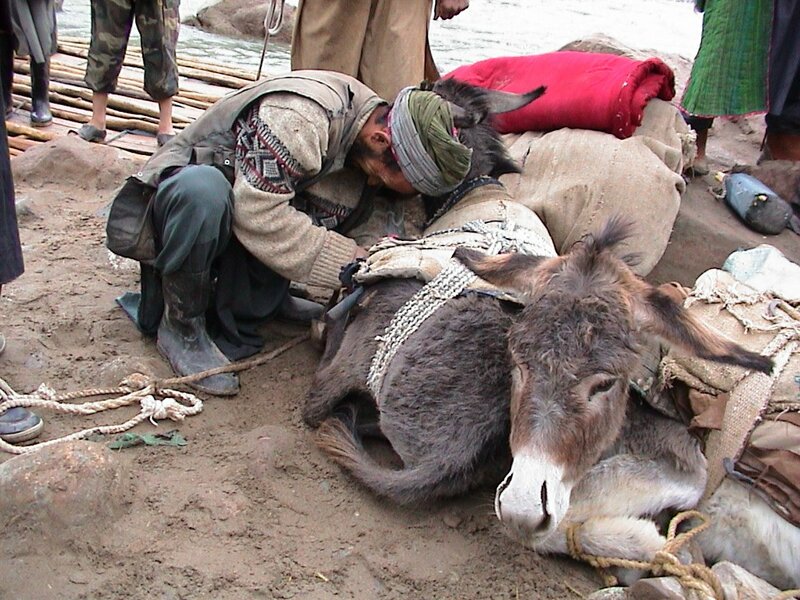 A young boy filled a donkey’s feed bag with grain. And vendors turned empty boxes of ammunition into display cases for less lethal wares, from candy to soap. Boisterous traders chase each other along the riverbank, hurling rocks, sticks, and insults. Soldiers get into mock fights, especially if there’s a woman around, a rare happening. And high-spirited boys – most of them aspiring smugglers – push their way into sand-colored tents where the men drink tea, only to be shoved out into the rain. 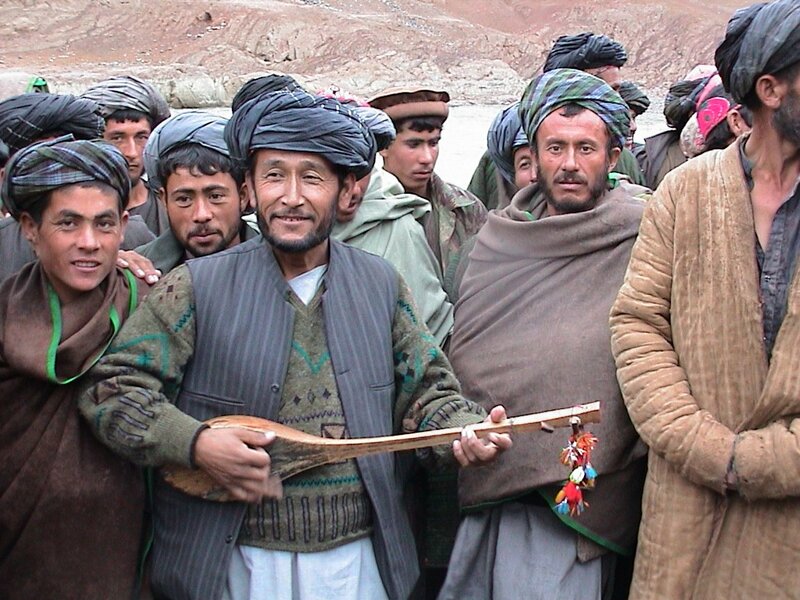 Afghanistan – even before it was called that – has always drawn a colorful cast of characters and not just smugglers, either. Alexander the Great and Genghis Khan trekked through what is now Afghan territory. So did British troops and the Soviet Red Army. 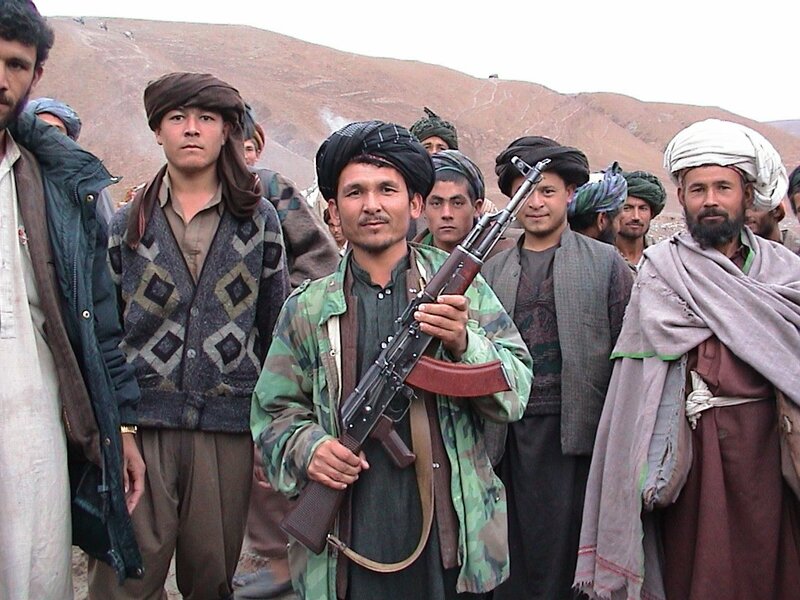 Foreign invaders coveted Afghanistan then – and now. And while that has meant tragedy and death for the Afghan people, smugglers at Walalij are now making the best of a bad situation. Their settlement is a jumble of tents near a sharp bend in the Quqcha River. It sprung up a year ago. “We’re here because it’s a safe place to cross the river,” said one trader, a haggard old man. Of course, “safe” is a relative word. As many as 20 people drowned while crossing the deep, fast-flowing river here in the last year, smugglers say. Rafts of tree limbs and inner tubes routinely tip over, sending unfortunate riders to their deaths. Still, the fleeting voyage is considered safe in a country where 22 years of civil war have produced more than a million dead. Where land mines have killed more than 400,000 people. Where warlords have their own private armies. The biggest danger, traders say, is getting stopped by the Taliban, the Islamic regime that controls about 90 percent of the country’s territory. 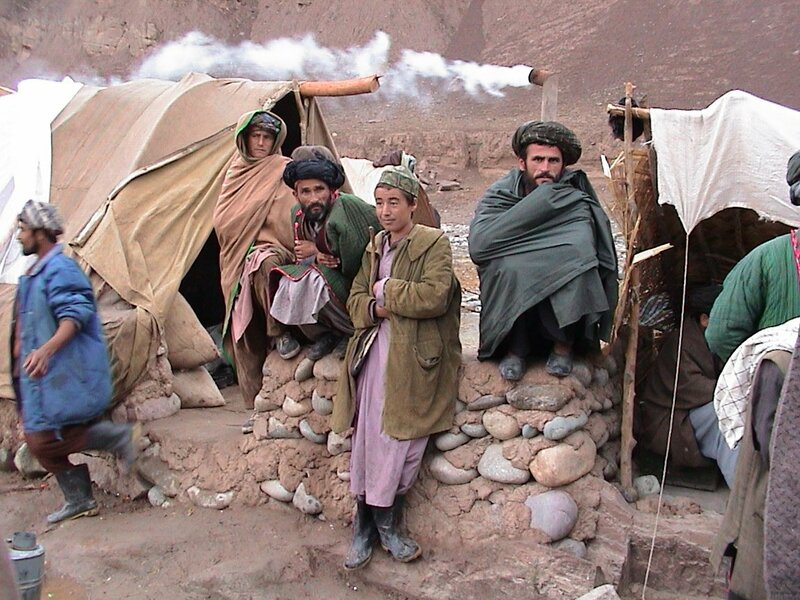 Regular jobs are scarce in Afghanistan. The ongoing civil war has destroyed virtually all industry, and most people farm, trade, or smuggle to survive. 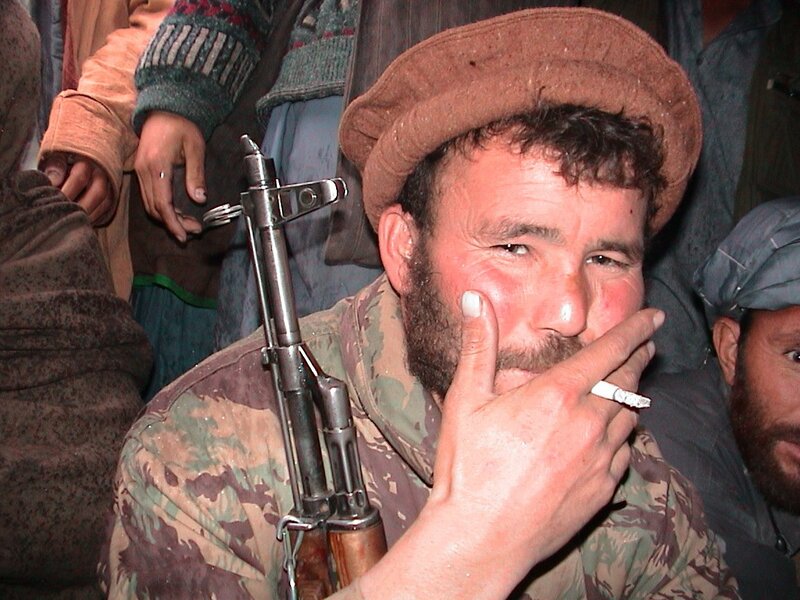 Eight hours earlier, he had begun his journey from the Taliban-controlled city of Taloqan. He and his donkey crossed enemy lines at night, then made their way to the river crossing. But Ramzam didn’t have much luck finding a seller for his cargo, 15 pounds of sugar. He had to unload it cheap. He shrugged, accepting his fate and the $2 in profit. Other smugglers unloaded bags of fertilizer and bundles of cotton, boxes of shoes, and cans of gasoline. Then the rain began to fall. Ten-year-old Bismullah Ismullah Qurban huddled next to a platform where a soldier prayed to Allah. 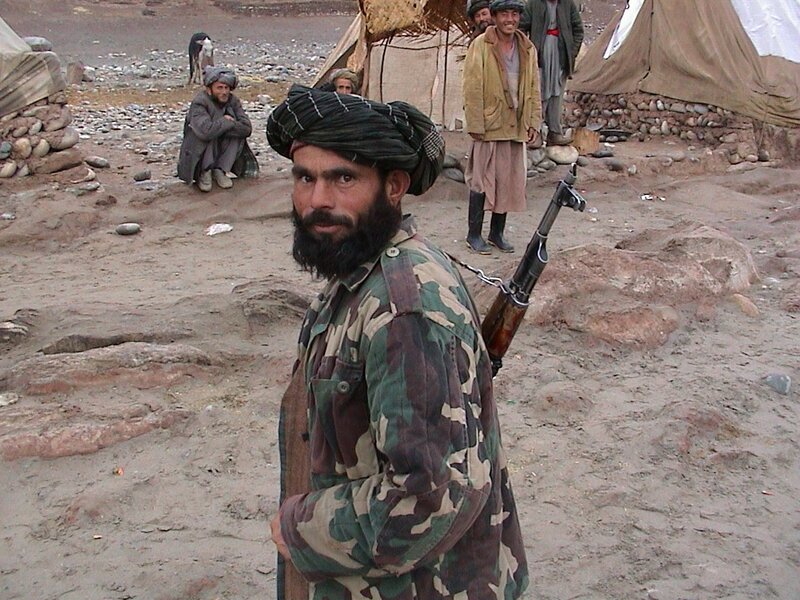 Nearby, Ghulam Qadir, 46, sold a box of cooking oil and got ready to head back to Taliban territory for another load. And if the Taliban catch him?